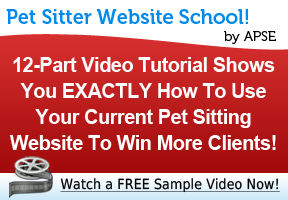 Home » Pet Sitters » Is Juggling a Full Time Job and Growing a Successful Pet Sitting Business Really Possible? Recently I’ve had a couple of pet sitters ask me how I was able to work a full time job and grow my pet sitting business at the same time. I’m not going to kid you, some days it was tough going. But if you are passionate about your business, have the right attitude, and get the right systems in place, growing a successful pet sitting business and being in the ranks of the full time employed is certainly far from impossible! For the first 7 years of owning my business Protecting Max I worked as an oilfield engineer and reported to the office 5 days a week for the daily grind. My job sometimes involved international travel, meetings where it was impossible to answer the phone, and I also commuted 30 minutes to work beyond my pet sitting service area (so I couldn’t pop out for midday visits during lunch hour!). If you find full time work that is flexible, does not require you to travel, and is within your service area it will make life much easier for you. But none of these challenges prevented me from growing my pet sitting business to an operation with six contract pet sitters and over 150 clients. Many of you may be in pet sitting start up and still need your job to pay the bills while your business grows. I’ve also spoken to one sitter that has owned and run her sitting business full time for several years and is now planning to return to the workforce. Whichever situation you are in my advice to you is the same. 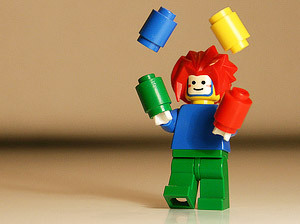 Here are some tips from my juggling experience. Know what you want from your business right from the start. Are you growing your business in preparation for leaving the workforce and working in your business getting involved in the day to day hands on pet visits? Do you want to build up a pet sitting business where your staff does most of the day to day pet sits and walks and you manage the office? Or do you want to create the business as a passive income source where your staff runs the whole operation and you collect the cash while you vacation in Bermuda? Or perhaps you are building it up so that you can sell the business in the future. It’s all possible – just make sure you have a picture of what part you want play in your business and what you want your business to look like and make sure you have an exit strategy. Getting clear early will make sure that as you grow the business you make the right decisions to ensure that you create your business on your terms. Make sure that you don’t spread yourself too thin. This leads to burn out, loss of service quality, and worst of all disappointed clients. Ensure that between work and business you set aside time in your schedule to play, relax, rejuvenate and enjoy the business that you are creating. Know how many pet sitting visits you can do each morning and evening and don’t overbook yourself. Don’t schedule so many clients on your weekends that you have no time for yourself and have no time to catch up on business management tasks like keeping the books, marketing, and client follow up. Set aside blocks of time each week where you will get tasks done and blocks of time where you can enjoy time with your pets, your family, and just take a break from work and business. Know what type of services you can offer that fit into your schedule, and know what client needs you can meet and which you cannot. Don’t accept clients and visits that don’t fit with what you know you can provide. Refer client that are not a good fit to other local pet services and build your network. In the beginning turning down clients will require discipline and patience – but making good choices will pay off. I know we talk a lot about the importance of your website at the APSE every day. If you can’t always be available to answer the phone and/or don’t have a lot of time to be out networking and marketing your business by pounding the pavement, the quality and information you provide at your site, and how easy it is to find your website in the search engine listings becomes even more important to your business. I’ve always got the majority of my new clients from the internet. In the early days of my business clients found me through online directory listings, and today most tell me that they came to my website via a Google/Yahoo search. When they visited my website and read about my company many were ready to email and schedule the initial meet and greet visit. If your pet sitting website builds trust and credibility and gives people enough information so that they are ready to go when they do get in touch this saves you a lot of time on the phone. Make it easy for people to get in touch with you via email by placing a contact form in a very obvious place on your website – the right hand sidebar of every page is a great option. Have an informative phone voice mail message that screens out people that are not in your service area and directs them to visit your website for more information. If you ever want to be able to take a vacation or short break building yourself a reliable team won’t be an option. But even more importantly you will need support so that if ever you are sick or involved in an accident, or you just can’t break away from the office that you have someone else that can step in to keep your business running. There are many ways to build a team. You can hire staff, have a business partner, or work with other pet sitting businesses in your area. Whichever option you choose make sure that you get started building your team as soon as you startup your business. I was lucky that my husband could help with visits, and I also worked with another sitter that serviced the same area. Ensure that you backups know where to find clients keys and contracts, operate your scheduling systems, and could take over if you just can’t be there. Always make sure that you get 2 copies of client keys so that you or the client’s primary pet sitters can keep the master and you can keep one at your office where you or your back up can easily find it. Ensure that your policies and systems make your business easy to run. Have systems in place for keeping keys and contracts so you can find them quickly, and streamline scheduling, payments, and paperwork. Ask clients to pay upfront for services and either get them to leave a check for you to pick up at the first visit or give you a credit card number to keep on file. Getting paid quickly and upfront will save you time it takes to invoice clients and chase down clients for payment. Send new clients that have scheduled a meet and greet your service contract via email prior to the visit so that they can fill it out and have it ready to review when you get there. This has cut down our initial visit time substantially and we can focus more on bonding with the pets and new clients. Make it easy for existing clients to help themselves by allowing them to schedule their own visits and update their own pet or home information in a pet sitting scheduling software. 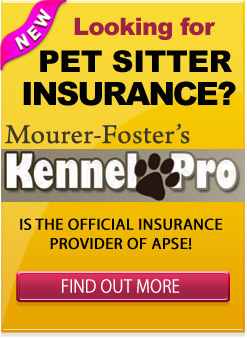 I use Power Pet Sitter and most of our clients do use it to self-schedule. This means all I have to do to confirm their new visits is hit the approve button and send them an email confirmation. Quick and easy for me! Any way that you can save time will help when you already have a full schedule. I’m not going to lie to you. Working a full time job and your business will at times be overwhelming and stressful. When you’ve had a long arduous day at work and all you feel like is putting your feet up watching TV with a bowl of your favorite ice-cream, you will sometimes have several pets to go visit before you even make it home. You have to love pet sitting to be able to put your day behind you and be able to give the pets all the love and attention they need at your evening visits. To be able to make full time employment and business ownership work for over the long haul your business must really be your passion. Without that passion you won’t be able to keep on going day after day and put in effort it really takes to grow your business. Pet Sitters: Have you had to balance a full-time job with the start of your pet sitting business? I’d love to hear about your experiences and how you manage the 9-5 work week and your business. Please leave a comment here below this post. We all hear too many stories of friends or family members who are “stuck” in a job they hate. Pursuing your passion will help ease any of that. Thank you for sharing. I love the article. When I started my business, I was working full-time. I knew where I wanted to go with it, so I explained it to my first few clients and they stuck with me. I think in those first few months, I turned down a handful of people saying our time slots were full, but I’d be sure to call them once we had availability… and once I left my job, they got call them. Over a short time, I began picking up clients that were nights / weekends and soon I had enough to jump ship and work on my own. Ideally, when starting a business someone will start it in their spare time and then once it grows they’ll leave their job. That’s difficult in this business because most people want mid-day walks. How can you do a midday service AND work middays? You answered it: build a support network. I literally just started my business a couple weeks ago and I currently work full time. It was so great to read about your experience with this. I am lucky enough to have a job (in another pet-related business) with a boss that LOVES an entrepreneurial spirit and allows me to come in late or come in, leave and come back as needed to meet with new clients or to service current clients. Whenever I have a meeting with a new one, he can’t wait to hear how it went etc. I know this is unusual, but I am very thankful. I just loved reading about your experience about working and still being able to grow a successful business. At first a voice in the back of my head was telling me I am crazy to start this, but my excited-ness won out! Thanks so much for sharing your story! We hear ya! Many of us are – or were – in the same boat as you. Our goal at APSE is to make certain you have the current tools at your disposal to go FT with this. Using your website properly to attract users and convert them into leads, and ultimately happy paying clients is a big topic we always cover. Also, how to use Facebook to grow your business, too. Stick around… I know you’ll be happy with what we have. This is excellent! I’ve had my business for almost four years as a part time option for secondary income. I am passionate about my business but lack marketing skills. This year I’ve really focused on getting my name out there. Partnering with dog groomers (because although I do bath and brushes, I won’t do other general grooming like nails, clipping, etc). I have a very clear vision as to where I want my business to go, but I hold back because I still have one cross country move still pending. Building a reputation and clientele in my current location is still a priority, but I inform my clients up front of my long-term goal. So, until we get to where we’re going, a full time job must suffice until I can truly focus 110% on my business.